If you have decided to harness the power of search engine optimization (SEO), you might be disheartened to realize that hitting the right keywords (each target keyword) is not always enough. Even with the right research and accurate keywords, you might still notice your web traffic is missing the mark. This problem is not always a simple one to solve, but that does not diminish its importance on any level. The reality is, some websites are simply not compatible with mobile devices. Even if your website can technically be accessed, an altered layout, broken links, and more could keep any mobile users far away from your site and, ultimately, your business. If you are concerned about the quality of your website on mobile devices, you should consider speaking to your web developer about changes that can be made to make sure you can see a web traffic increase from mobile users, which, in turn, will translate to higher rankings. Where you rank search engines (Google, Bing, Yahoo) really matters during any search query. This is where your keyword rank comes into play through SEO ranking factors. So, how can you maximize your rank as part of your search engine strategy? Achieving your goals is a lot easier when you can track your results. Google Analytics is a brilliant SEO tool to track your web traffic and success on social media. Although using it will not directly put you in favor of the search engine algorithm, this checker tool can actually help you identify areas of strength and where there is room for improvement. If you have been frustrated about your organic traffic and click-through rate, Google Analytics is a great tool to make it easier to find the solution and improve your ranking with search results. This goes for everything from movie sequels to website domain names. If you have given your website a much-needed revamp or have jump-started your content creation efforts after a few unsuccessful attempts, it is probably tempting to want to start entirely from scratch, including your domain name. However, this is not actually always the wisest way to go. Google’s algorithms give preference to older websites rather than new websites that may pop up and disappear within weeks or days. If a website makeover is on your to-do list, you should rethink the idea of switching over your domain, especially if you have SEO content already on your current site. Google’s algorithms are smarter than a lot of us give them credit for. Posting here and there simply will not cut it when it comes to search engine rankings. If you are truly committed to higher rankings, you also need to commit to more frequent content publication, including social media posts (which with the right links, can bring web traffic to your site organically). Content creation is an important aspect of SEO, but so is the research phase. If you are using keywords but are still not seeing the results you want, you may need to begin your research process again. Keyword research is an important element of SEO, but it does not stop there. It is also always a good idea to keep your eyes on your competition. If you are not ranking as high as you would like on Google, you can also look at the businesses that are. What is it that they’re doing right? A simple glance at their website could provide the answers. HTML header tags are useful tools to break up your information and prioritize your keywords. They can help you, as a writer, organize your thoughts, but they can also help organize and strategically place your primary and secondary keywords. Header tags are easy to use even if you are not quite an expert at HTML, and they also offer one additional hidden benefit: readers like being able to absorb smaller, digestible chunks of information, so header tags immediately make longer articles more easily readable. Sometimes, SEO feels like a constant battle with Google’s ever-changing algorithms and, in some ways, it is. Google is focused on ensuring that the highest quality content related to a search is at the top of their rankings, so it is always trying to eliminate sites that are hitting the right keywords but not offering valuable answers to the questions people have. One way that Google filters out lower quality content is by putting duplicate content lower in search rankings. In some cases, companies try to get higher rankings by spamming the same posts repeatedly in the hope that keyword quantity works in their favor. Of course, this only ends up working against them when Google pushes all of this content, both original and duplicate, to the bottom of the search results. However, there are legitimate businesses who accidentally hurt themselves more than they help themselves by constantly using similar wording or slogans. 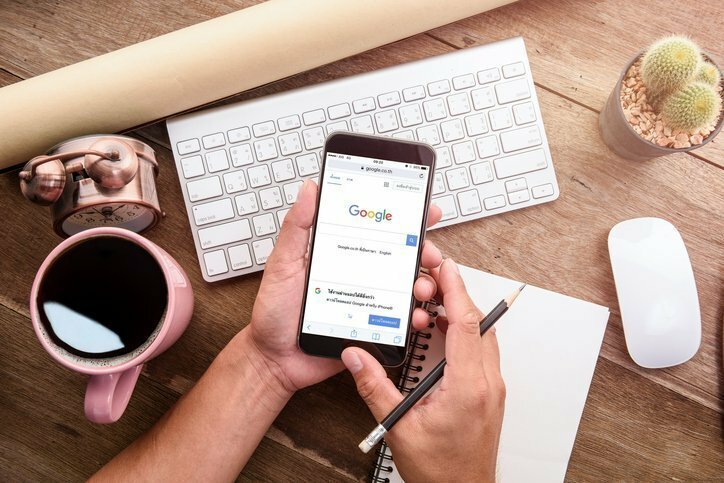 Although it can sometimes be hard to refrain from using the same language when constantly discussing the same business, Google’s duplicate content filters are among many reasons why a simple thesaurus can help your writing. If you are struggling to do it all by yourself, it may be a sign that you need outside help. If you already run your own business, it can be tricky to add frequent, high-quality content creation to your to-do list. Fortunately, companies like Content Refined are able to handle a business’ important but time-consuming responsibilities. Not only are SEO professionals well-equipped to keep up with changing algorithms and develop new practices as demands change, but can also help you produce better quality content, backed by better-quality research. It’s never too late or too early to accept the help that you deserve. In fact, if higher rankings are at the top of your list of 2019 goals, then this could be the important first step to make this your business’ best year yet.